Meat lovers will love this place. 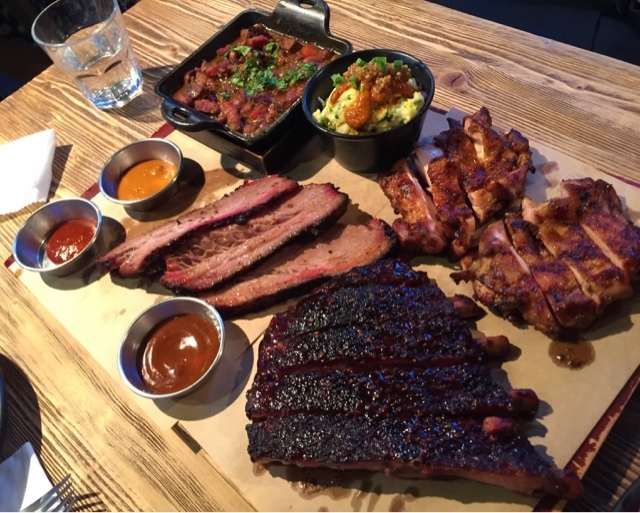 Bbq is the newest sensation in Seoul right now. Everyone is trying to get on the bbq American way - ribs, chicken, pork and all. A few restaurants started it in Itaewon - who else but the Korean Americans. This country is the new play ground for the 2nd 3rd generation Koreans. We see that Korea is a land of trendy and whatever is new, well packed, tasty enough will hit it big. The restaurant, food and beverage industry is loving the American influence lately. From ribs to New York style pizza. It was perhaps "French" that Koreans took to much liking (macarons, bakery, etc.) a few seasons ago that, but the hot radar jumps to anything American now. 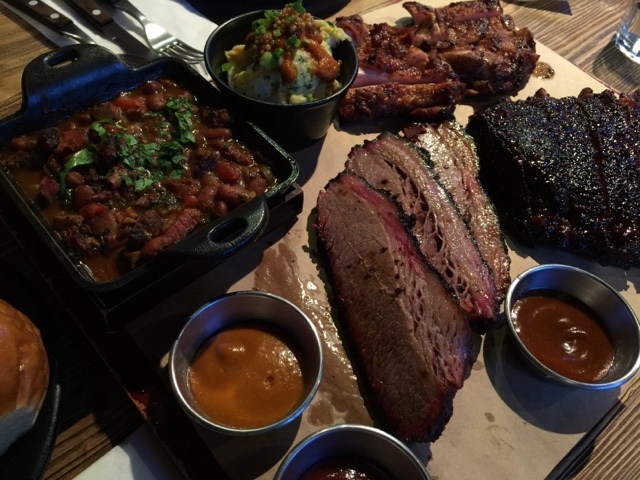 Manimal is the restaurant my husband likes for bbq in Seoul. I don't prefer eating this much meat in one sitting and when it's just meat and nothing else, but those that love this will enjoy Manimal. Korea has come a long way from shying away from new flavors. Funny how Taco Bell is popping up slowly now (there's one in Yeouido). Koreans are slowing embracing the new flavors without expecting pickles and kimchi on the side. I say that's a huge step!